Hugh was born in Watertown, NY, lived in Boston, MA during his early years, and then his family moved to Vermont where he spent his formative years. Upon graduation from high school, he came to Virginia to attend the Virginia Military Institute. Following graduation from VMI in 1966, Hugh attended Washington & Lee University School of Law. After graduating from law school in 1969, Hugh served five years in the U.S. Army as an attorney in the Judge Advocate General Corps. Most of his practice in the Army involved defending soldiers in court marshals and other disciplinary proceedings. Hugh felt fortunate to serve four years in Germany and finished his service time with a year at Fort Lewis, Washington. Before leaving for Germany, Hugh married Betsy Saunders, a Lynchburg native. In 1974, upon leaving the Army, Hugh and Betsy returned to Lynchburg where they raised their two daughters and now have four grandchildren. Hugh’s practice in Lynchburg began in 1974 as a general practitioner with Leyburn Mosbey until 1980 when he opened his own practice as a sole practitioner on Timberlake Road where he remains. For many years, his practice was a broad general practice from criminal matters to civil matters and everything in between. In recent years, Hugh has concentrated on residential and commercial real estate transactions and related matters, business law, wills and estates, elder law, and some civil matters. He plans on continuing his practice for the foreseeable future. Hugh has participated in numerous community activities over the years to include being a member and President of the Board of the Anne Spencer Foundation and a member of the Westminister-Canterbury Board. 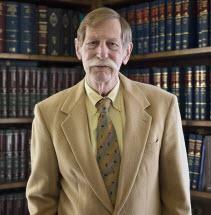 Hugh was recently recognized as a top lawyer in the area of real estate by the Lynchburg Living Magazine. When not in the office, Hugh enjoys walking, hiking, biking, skiing, and traveling, mostly to visit his children and grandchildren. Maddox & Son Construction, Inc.